Categories: Bar and Bat Mitzva Gifts, For Parents and Grandparents, Gifts for the Jewish Home, Great Gifts for the Holidays!, Jewish Wedding Gifts. 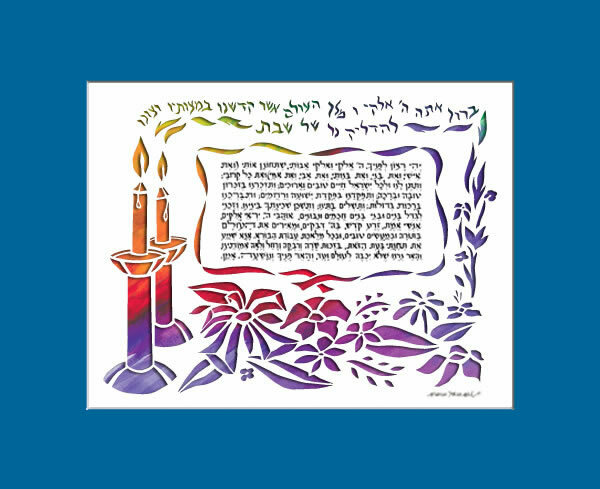 Tags: Bat Mitzvah Gift, Candle Lighting Prayer, Jewish Gifts, Jewish Tradition Art, Judaica, Shabbat Candle Blessing Papercut, Yehi Ratzon. 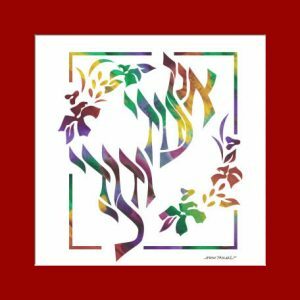 It is customary to recite this Friday night prayer after the kindling of the Shabbat candles. It includes the blessing over the candles and the Yehi Ratzon blessing. The candle lighting prayer asks that G-d bless our family and all of Israel with a long lives filled with love, truth and righteousness. 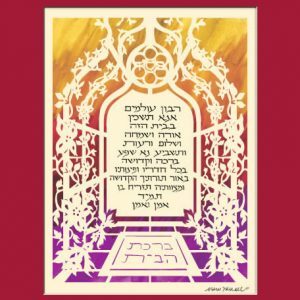 The Friday night candle lighting yehi ratzon blessing is a powerful one, and this Papercut Judaica design is the perfect piece of art to display near the candles in the home. 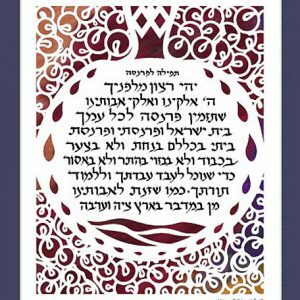 Hebrew papercuts by Marci Wiesel are the perfect gift for a bat mitzvah girl, for the woman in your life, or for a housewarming present, among others. “May it be your will Hashem, my G-d and G-d of my forefathers, that You show favor to me (my husband, my sons, my daughters, my father, my mother) and all of my relatives; and that You grant us and all Israel a good long life; that You remember us with beneficent memory and blessing; that You consider us with a consideration of salvation and compassion; that you bless us with great blessings, that You make our households complete; that You cause Your Presence to dwell among us. Privilege me to raise children and grandchildren who are wise and understanding, who will”love Hashem and fear G-d, people of truth, holy offspring attached to Hashem who will illuminate the world with Torah and good deeds and with every labor in the service of the Creator. Please hear my supplication at this time in the merit of Sarah, Rebecca, Rachel and Leah our mothers, and cause our light to illuminate that it be not extinguished forever, and let our countenance shine so that we are saved. 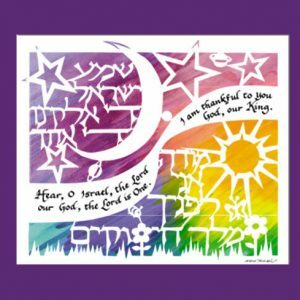 Amen.” Taken from the Art Scroll Siddur.